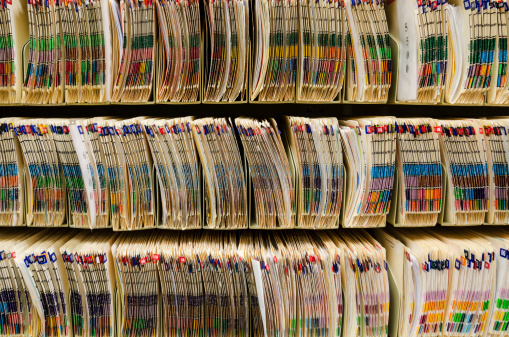 This latest healthcare network data breach is most likely being scrutinized for motive and provenance by the Department of Health and Human Services, who will no doubt be handing out HIPAA fines to the medical group for the hack and patient-data exposure. Hacktivist Pravyy Sector also makes the very strange and disturbing claim that, “I personally witnessed in Kherson as instructors [sic] injections to our volunteers and 14 people died later. Some were strange convulsions before death.” Apparently, this Ukraine-based hacker’s motives lie somewhere in the range of wanting to make U.S. residents aware of some cryptic experiment that killed some of his own comrades. Whether one can believe that a Ukrainian hacker cares so deeply about American urology patients that he would strive to make them aware of an unprovable X-Files-sounding experiment-gone-wrong in Kherson is anyone’s best guess. Pravyy Sector, a.k.a. Twitter handle @pravsector, posted its rant and the many thousands of filched documents to a Twitter account and Google cloud-based storage site, along with a copy of a spreadsheet containing all of the patient medical and personal information. The tweet referenced “156GB files,” a link to the Google SaaS drive, along with the main spreadsheet. It appears that around 520,000 total document files, including pdfs, .xls, and .docx files of patient records are involved, and which contain monthly surgical spreadsheets and detailed records of surgeries, consultation forms, and medical histories of the Central Ohio Urology Group patients. An analysis of the data dump has now shown the files to be full of Ransomware, and an even larger data breach than first thought. Service dates of the files range between July 21 to July 22, 2014. @PravSector has confirmed to DataBreaches.net that the attack occurred on the Urology group’s server, not a third-party vendor’s. If you are a healthcare facility department head concerned by these troubling events, let experienced IT consultants help you figure out the proper course of action. Haxxess Enterprise Corporation is the leader in providing managed IT services in Sudbury, North Bay and Northern Ontario. Contact our expert IT staff at (705) 222. -TECH or send us an email at info@haxxess.com, and we will be happy to answer your questions.